My application is a very basic Objective-C application for Mac based on the Eclipse PAHO library. 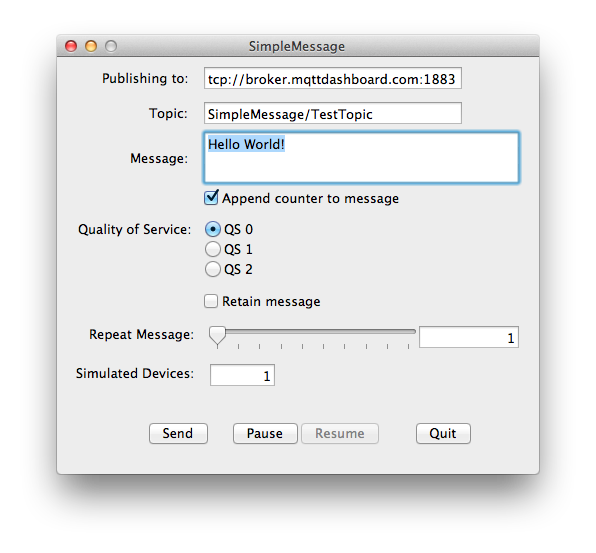 This library is open source and implements the MQTT protocol. I am not a very good and experienced programmer please feel free to implement this in a better and smartert way. My few lines of code are free for use on github and open source under the Apache License. 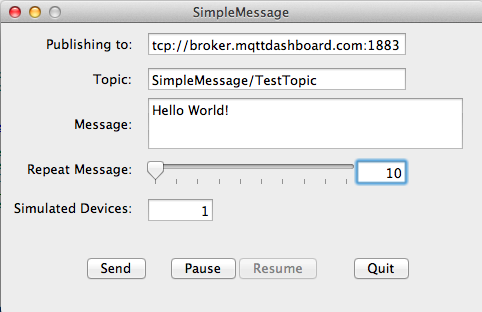 To test this application I am hosting a public mosquitto broker sponsored by BayCIX running a nice mqtt-dashboard to monitoring what is going on on the broker developed by a colleague of mine at dc-square. New version with some bug fixes and some small enhancements released.